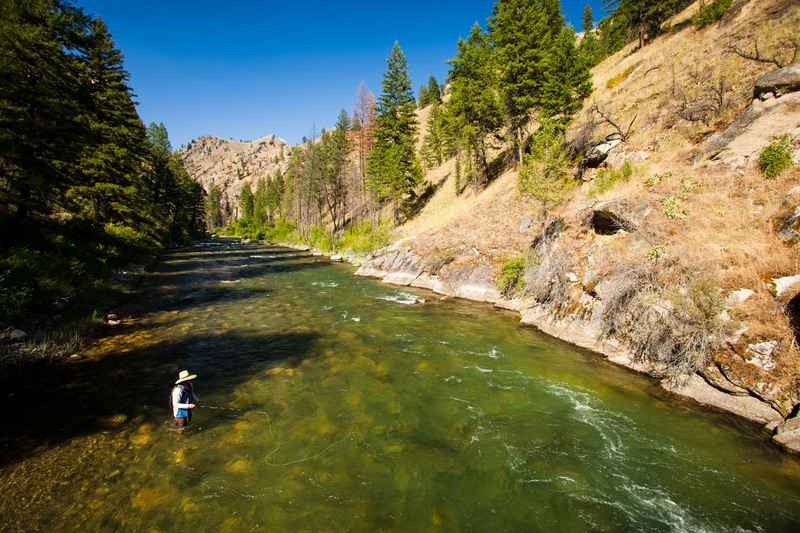 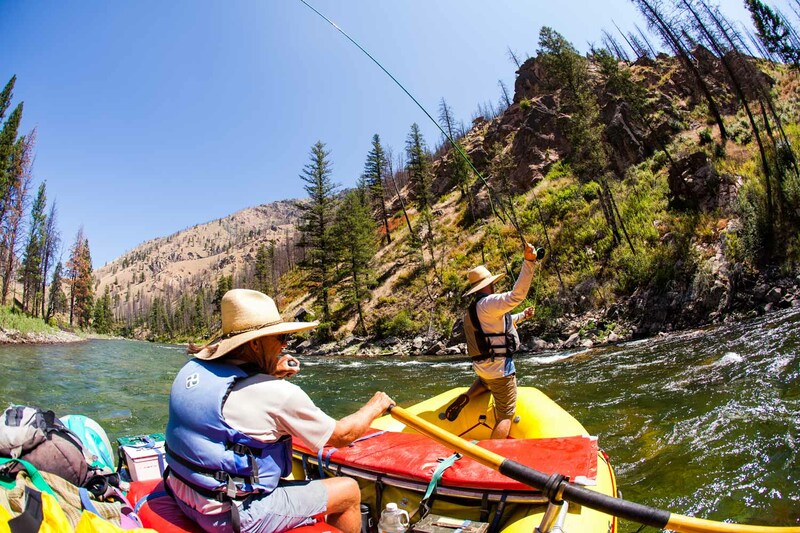 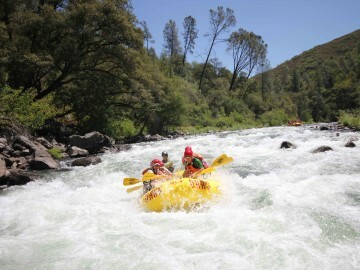 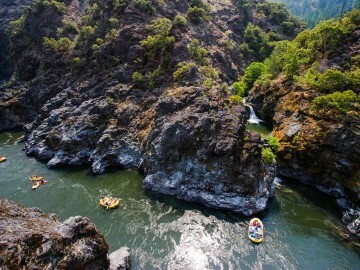 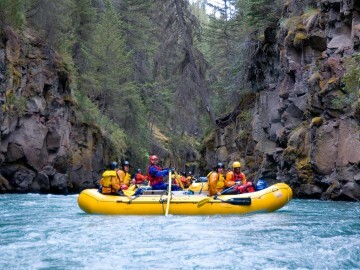 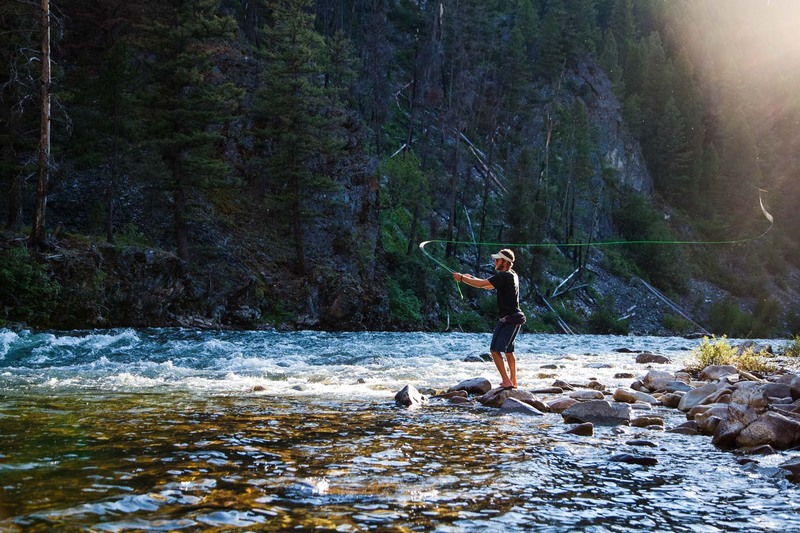 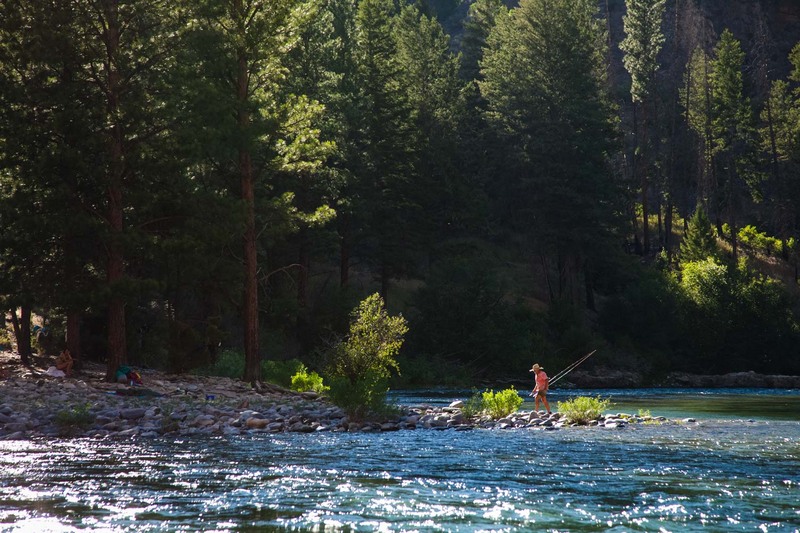 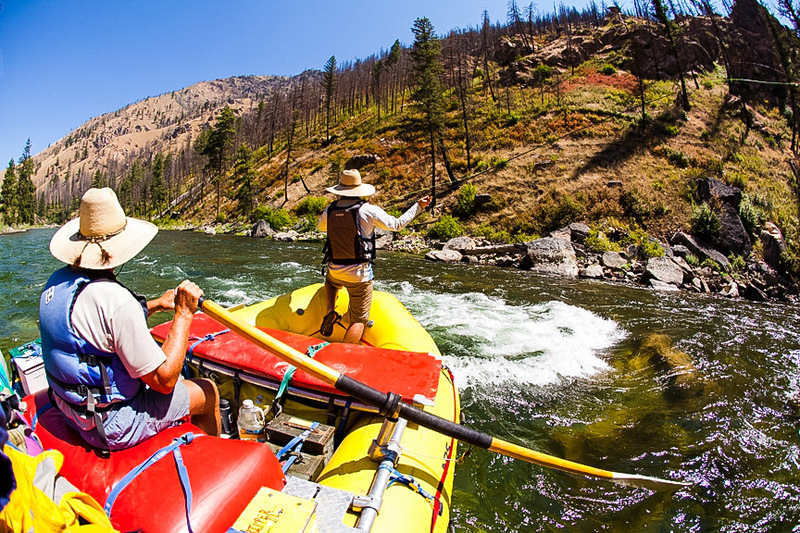 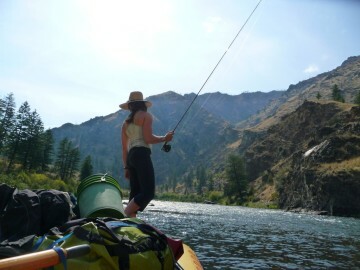 Although the whitewater on Idaho’s Salmon River may be world renowned, simply put, the trout fishing on the Middle Fork Salmon River is superb, and offers some of the best cutthroat fishing in Idaho. 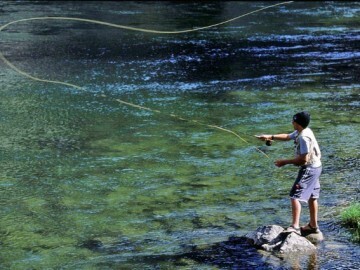 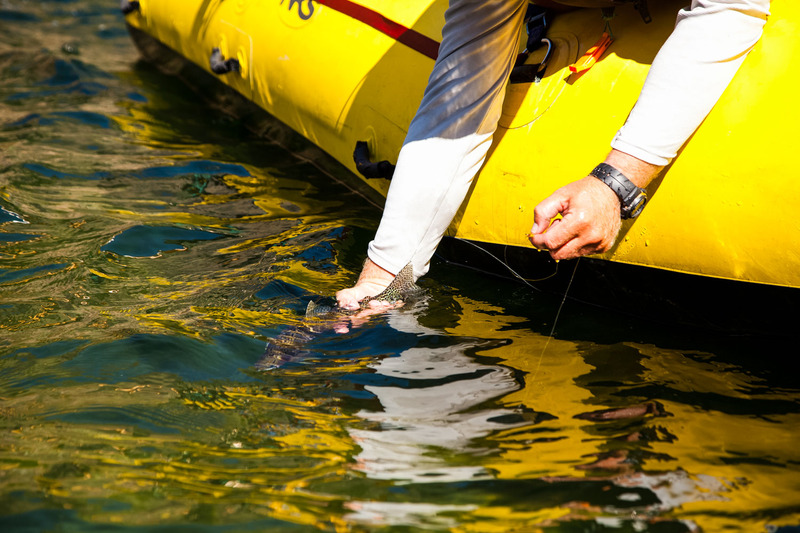 Skilled anglers might expect to catch upwards of forty fish per day! 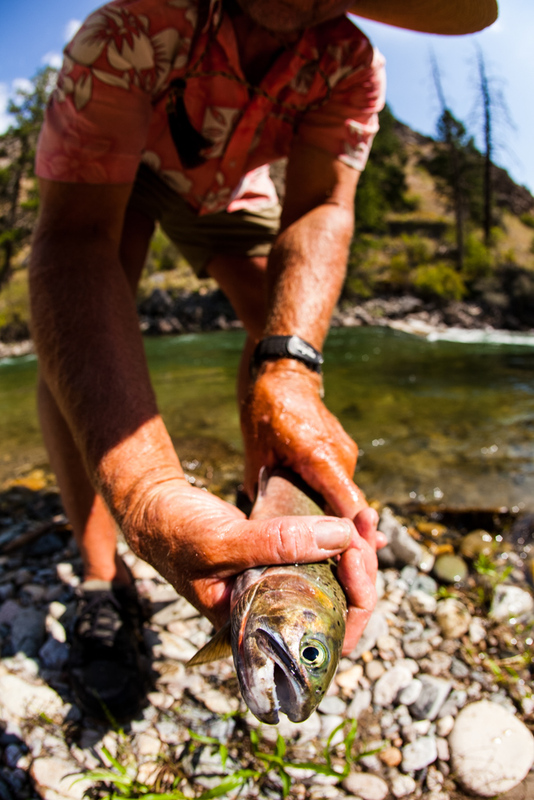 The population of this unique strain of west slope cutthroat was almost destroyed by the end of the 1960s. 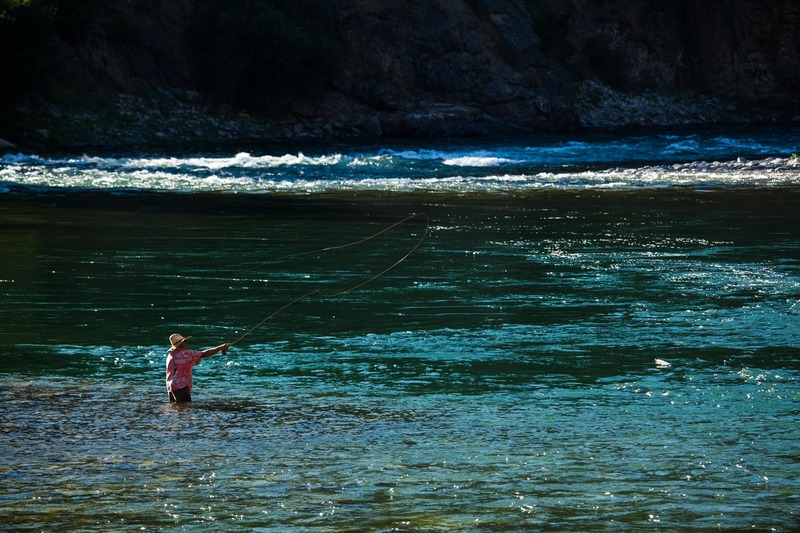 A catch-and-release regulation was then imposed and that, along with the very limited access to the river and little angling pressure, has resulted in a river loaded with fish. 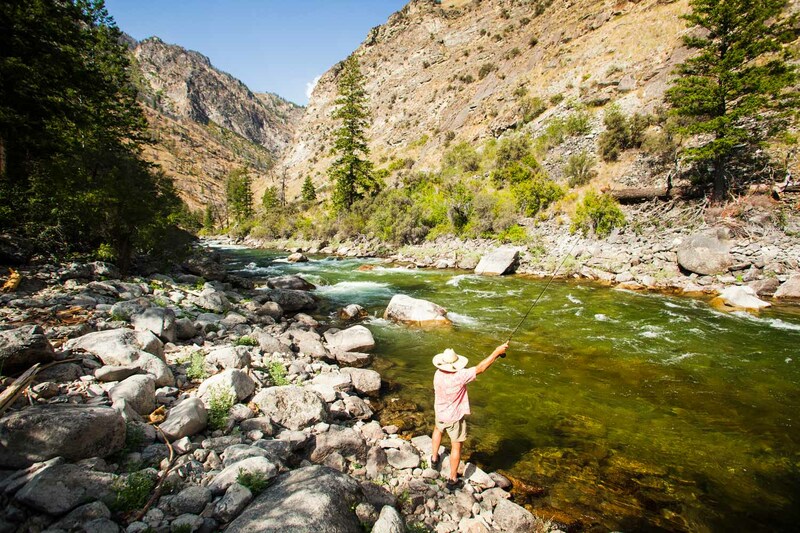 Twelve- to fourteen-inchers are common, with an occasional sixteen-to eighteen-inch trout, a trophy to aspire to! 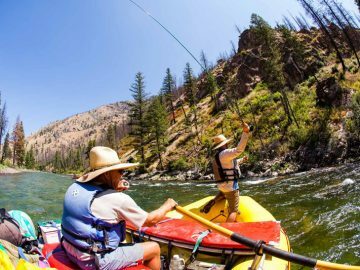 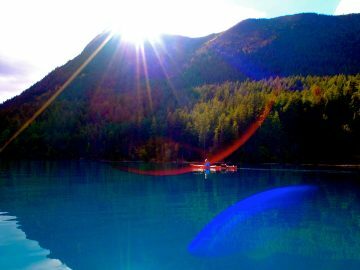 Native rainbow trout, mountain whitefish and bull trout are also caught here, but single barbless hooks are required and no bait is allowed. 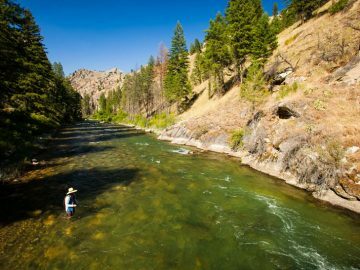 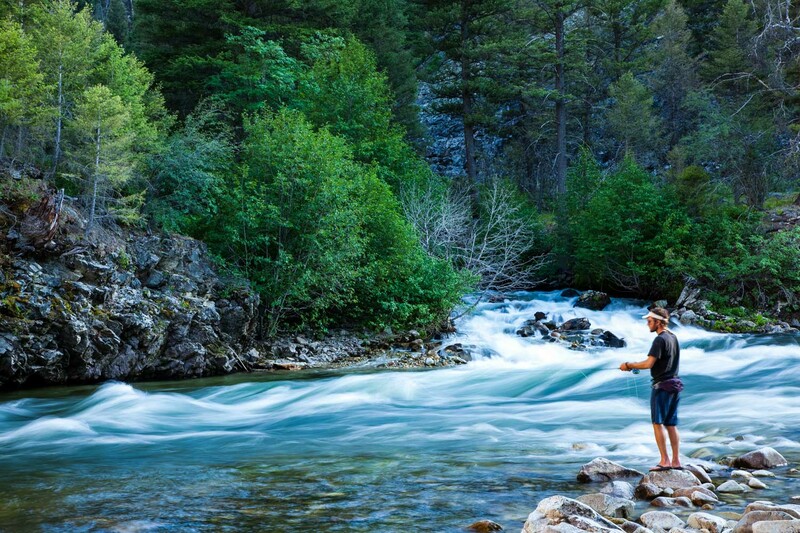 The ease of fly fishing, combined with unsurpassed wilderness and abundant wildlife make for the Idaho fishing trip of a lifetime!